Check4Change is feature-rich and getting richer. But its basic design hasn't changed since the beginning and is very simple. I will illustrate the basic use-case with an example. 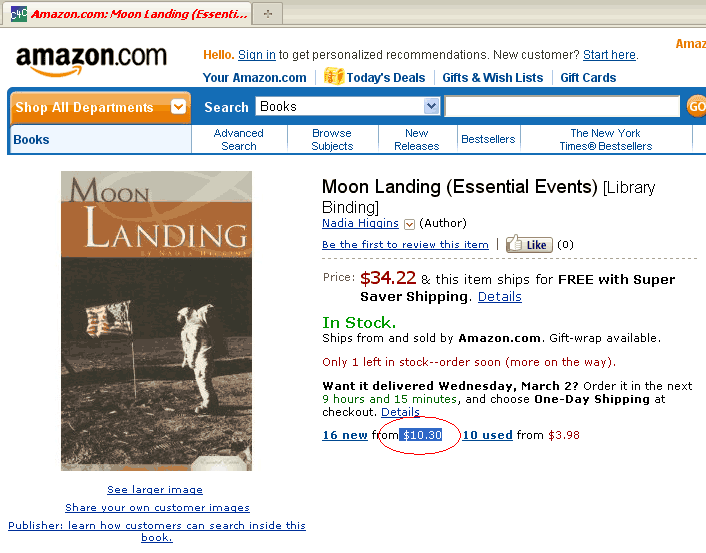 Imagine you are very keen about buying a book about the Moon Landing from Amazon. You don't want to buy it full price, but not used either. You are looking for a bargain: A cheap "new condition" book. The current cheapest book is still too expensive. You want to know when a new offer is posted. Instead of coming back and refreshing the page all the time, you can just use Check4Change! Simply mark the relevant text, and select the reload interval. You can stop thinking about it. 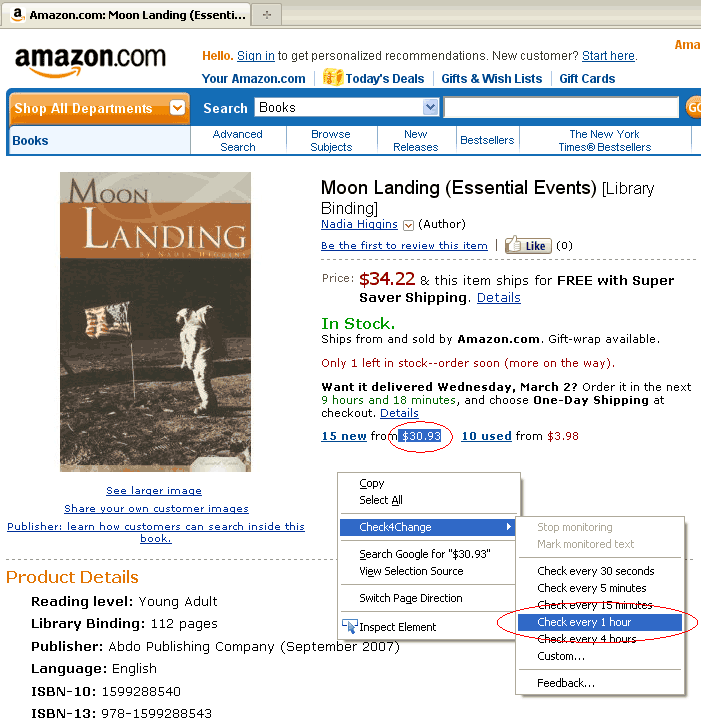 Check4Change will reload the page once an hour and check if a new book has been posted. When it has, C4C will notify you using a pop-up screen, and start a small animation in the tab icon. Clicking the tab will restore everything back to normal. That's it. - Can I continue monitoring after the first change? - Can I use a sound notification? - Can I log changes to a file? All these and many more advanced features are available under the "Custom..." menu item. Have a look! Check4Change is developed and maintained by Ronen Zilberman.